Lately I've noticed some new gluten and dairy free baked treats popping up at my local natural food store. You all know that I avoid sweets.. pfft.. but I just couldn't resist these. 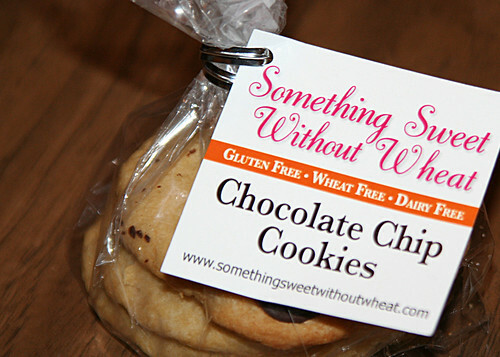 A new company called Something Sweet Without Wheat is on the scene, made up of two sisters that grew up baking together. One of the sisters was diagnosed with wheat and diary sensitivities as an adult and then they found out that their children were sensitive too. And so the company was born! I am ALL about supporting new and local GF companies. I actually already tried the double chocolate chip cookies a week or two ago but they were gone before I got a photo so I didn't write about them. This time I knew I had to slow it down a bit. No need to inhale the cookies the minute I get home from the store. Or in the car ride home from the store. Right. The list of local shops that are carrying their goodies is growing, I'm so happy to see! These cookies are great, the taste is very good and the texture is awesome. 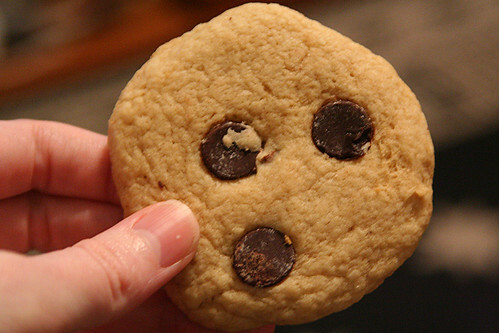 They are light and chewy and not crumbly at all. I really enjoyed them. I look forward to trying their other products soon!